When I think of Melting Moment cookies, I always think of a light cookie that crumbles and dissolves in the mouth. 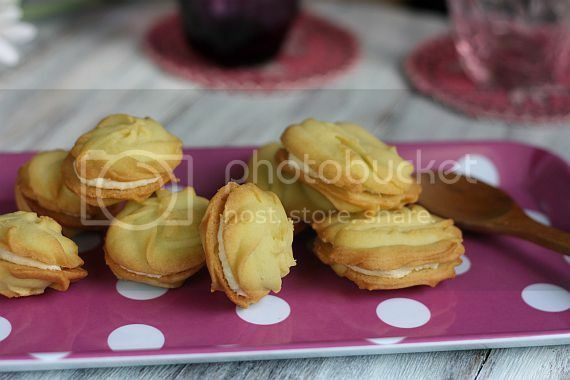 That's why it's called "melting moments" and whoever gave this cookie it's name certainly nailed it. When I chanced upon this recipe which used the infusion of pandan juice in the cookie dough, I was very interested to try it out. It had the addition of a coconut cream which would go really well with the pandan flavour. 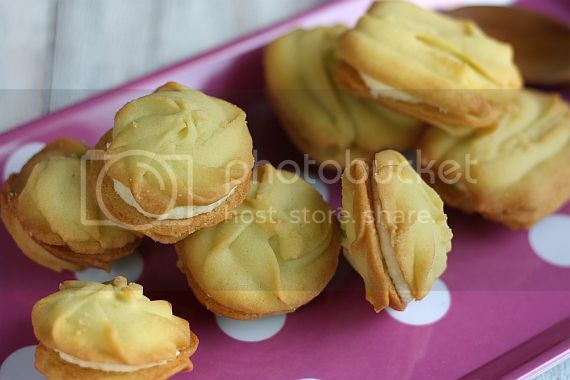 The cookies turned out extremely light in texture with a tinge of pandan flavour. At first I had not wanted to make the coconut cream and had thought of just having the cookie on its own. But I was glad that I did as the coconut cream icing elevated a somewhat plain cookie to a new dimension. As I had reduced the icing sugar in the frosting, it was not too sweet at all. 1) Prehat oven to 160C. 2) Sift the plain flour, cornflour and salt in a bowl and set aside. 3) In another bowl, beat the butter, icing sugar and pandan juice until light and fluffy. 4) Add in the sifted ingredients into the batter and mix thoroughly until well combined. 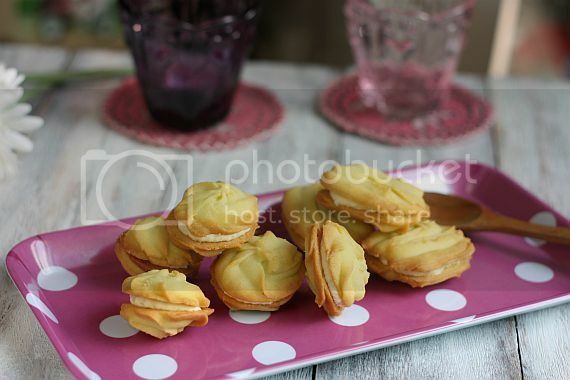 Place the cookie dough into a piping bag fixed with a star nozzle and pipe the mixture into 1.5cm rosettes onto a baking tray lined with parchment paper. 4) Bake for 10 - 12 mins until the cookies are firm and lightly golden. Set aside to cool completely. 5) To make the coconut cream, beat the butter, icing sugar and coconut powder until pale and fluffy. Spread the coconut cream on one cookie and sandwich with another. Continue until all the cookies are sandwich with the cream. Note: To make the pandan juice, blend 30 leaves, roughly cut up with 45ml water. Squeeze and strain the mixture through a piece of muslin cloth or very fine sieve. I think i could eat that cream by the bowlful! 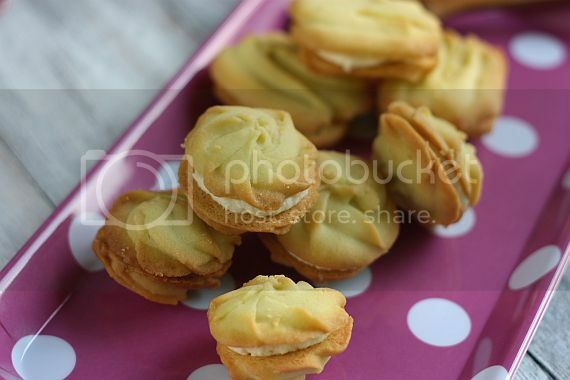 I cant resist anything coconut and melting moments are always a winner, what a great little recipe and your cookies are just perfect! mmm...coconut filling, buttery cookies..that's definitely a delicious combination! think i could eat that cream by the bowlful! It's perfect time to make some plans for the future and it's time to be happy. I have read this post and if I could I want to suggest you some interesting things or suggestions. Perhaps you could write next articles referring to this article. I want to read even more things about it!